The tree from which my apricots came. I pull up to the house where my daughter is taking swim lessons for the summer. It is the first day. 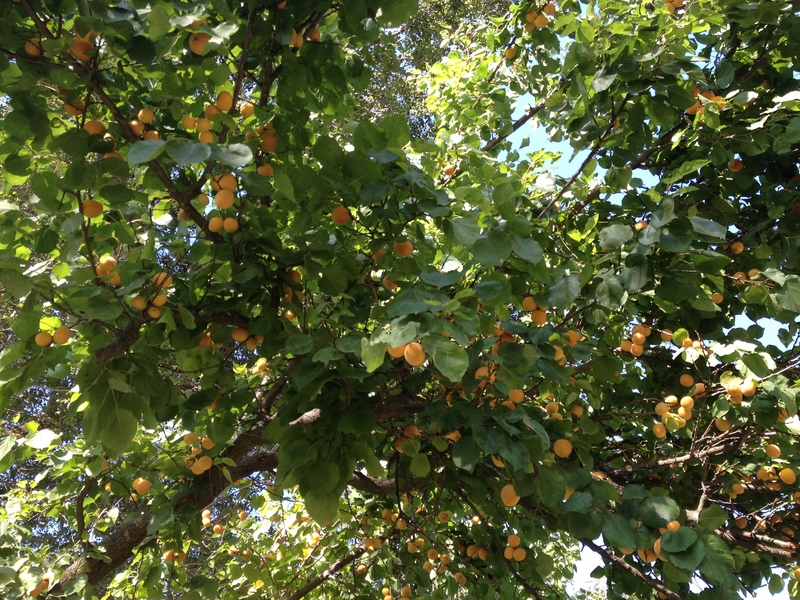 One of the first things I notice is a spectacularly large apricot tree in the front yard, and it is loaded with ripening fruit. At the end of that first lesson, I find myself asking her teacher (whom I just met that day) if I can pick fruit when they are ripe. 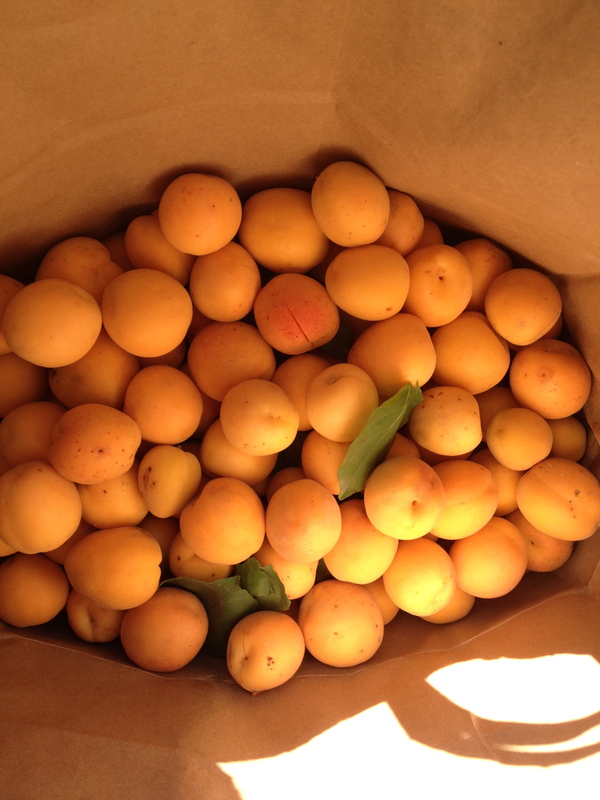 I come back the following week, fruit picker in hand, and pick enough apricots for two batches of jam. I have so many left over, I offer them up to my fellow RIPE members. The ones that came home with me. 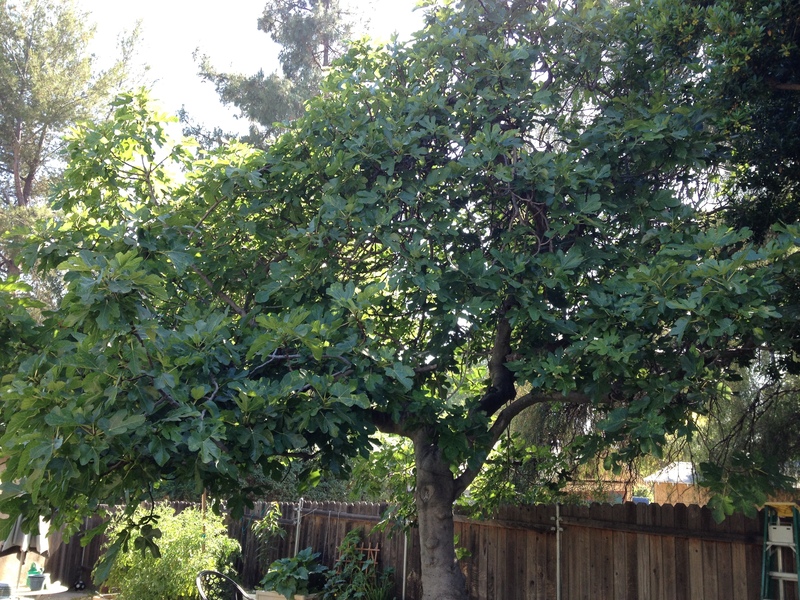 This is not the only front yard or backyard in Altadena that is home to a large fruit tree. Another friend of mine also has an apricot tree, twice as big as the swim teacher’s. 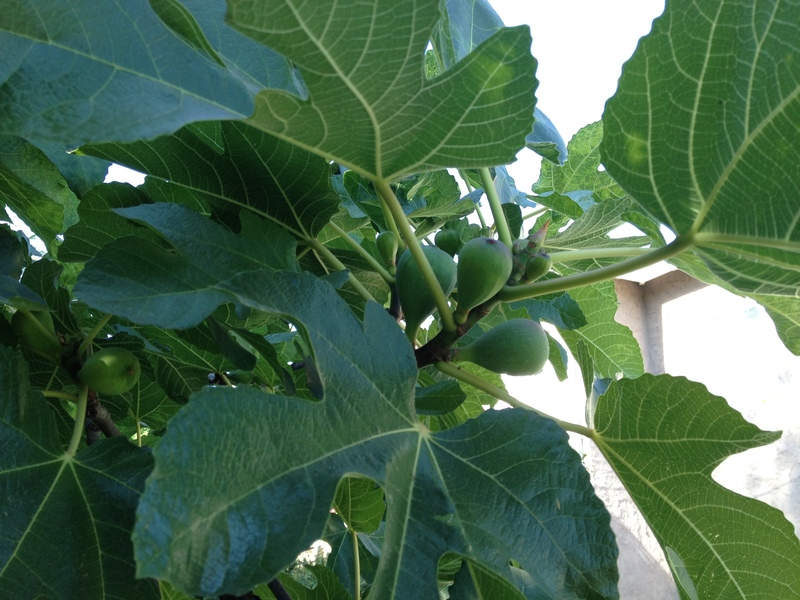 Then, there are the fig trees: one in the backyard of a friend and another that hangs over the backyard fence of our neighbor’s house across the street. In Altadena, about every third house, it seems, is home to at least one citrus tree, if not two or three. The neighbors on either side of us have peaches. My community, owing in part to Los Angeles’ agricultural history, is loaded with fruit, some of the trees dating back to the time when this was orchard country. Here, there is always fruit, no matter the season. So, what to do with all this fruit, but make jam! When I see full fruit trees, especially something like apricots, I can’t pass up the opportunity. I am still a novice when it comes to making jam, so I scour the Internet for recipes. 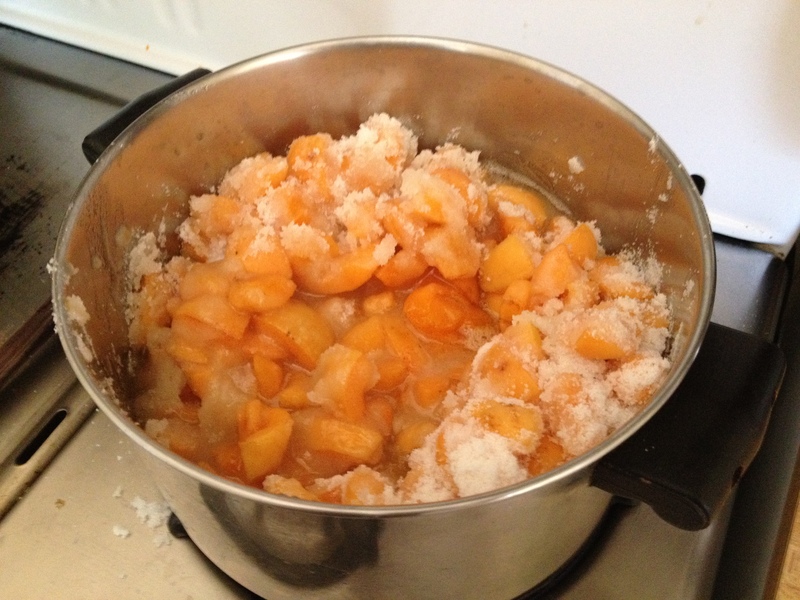 I made a basic apricot jam using this recipe. 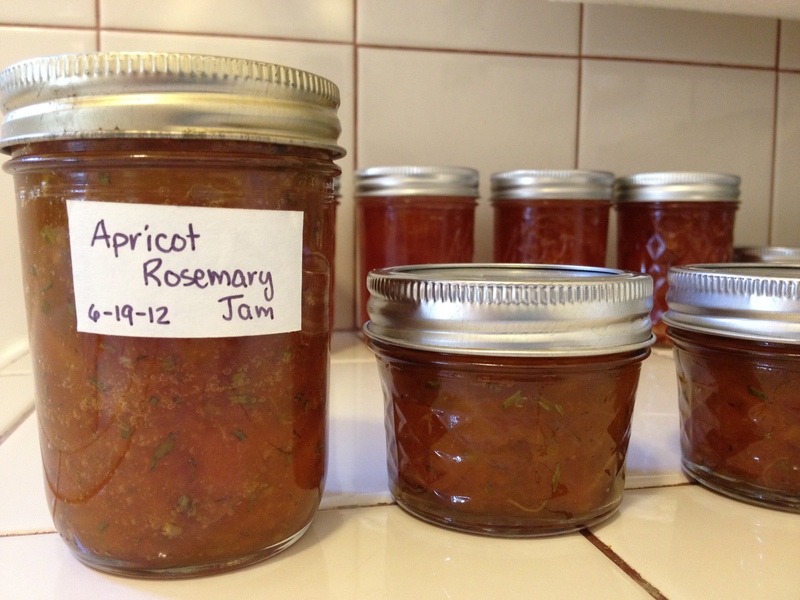 And then I wanted to try something a little different and tried this recipe for apricot rosemary jam. Both jams are a few shades darker than the ones pictured on the websites. I think I overcooked them. I didn’t use pectin, and I was afraid they wouldn’t set. They still taste delicious! 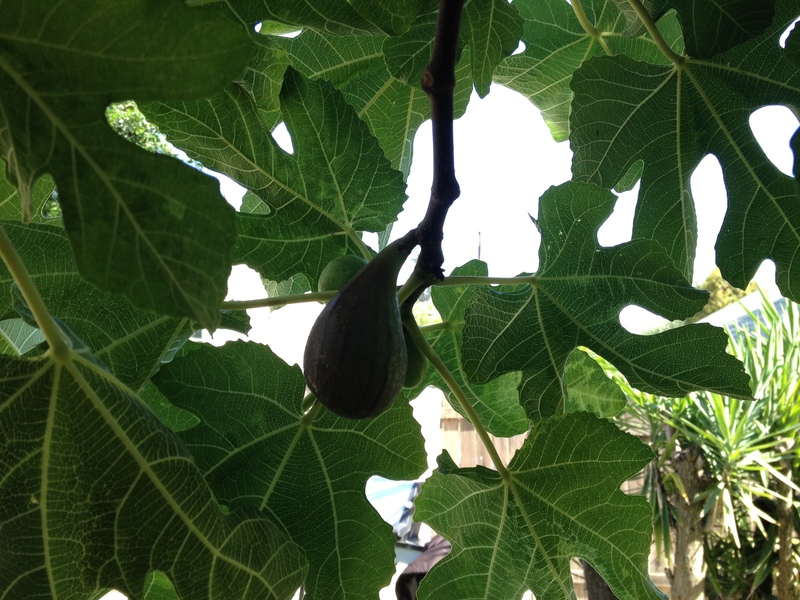 I have to wait until August for fig season…. And, if I am lucky, I may get my hands on some pomegranates too!